Yeah, I went on something of a muffin-baking bender a couple months back. 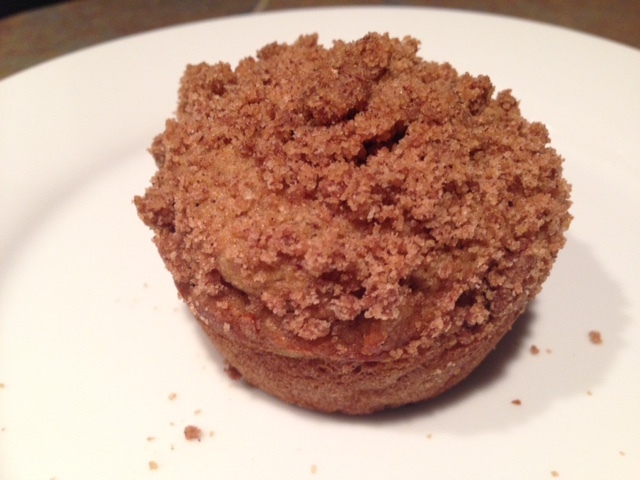 In a couple of weeks I made these double chocolate banana muffins and these healthy apple muffins with cinnamon-sugar topping, and somehow these guys fell off the radar. 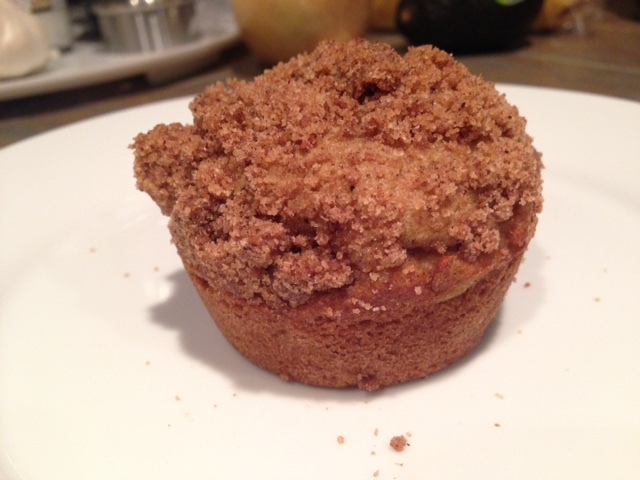 Yeah, you’ll notice that there are two whole wheat, apple-y, cinnamon-y muffin recipes. I made the first recipe for work, the one with the crunchy topping. It got rave reviews, but the pictures I took were terrible so I knew I’d need to make it again to get better shots. So I pulled the ingredients together, started stirring everything together, and was like, “Wow, I must have been really out it when I made this the first time, because I don’t remember some of these steps!”. Then I got the batter together and started to spoon it into the muffin tins, and was worried about how much more liquidy it was than the last time I made it. Yeah, not the same recipe. So this is the second recipe, the one I made on accident. 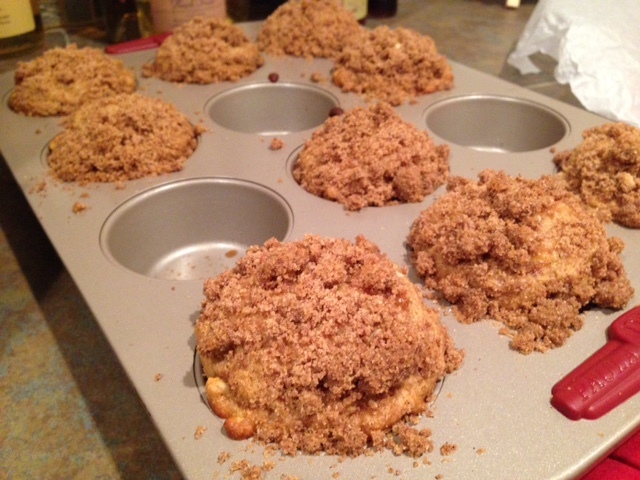 I loved the streusel topping, and the muffins were SO moist. Definitely recommend this one! Preheat the oven to 350°F / 175°C. Line a muffin tin with liners, or just spray with non-stick spray. Whisk together the dry ingredients in a medium bowl. In another bowl, whisk the egg, then add the honey, olive oil and vanilla. Finally, stir in the yogurt or buttermilk. 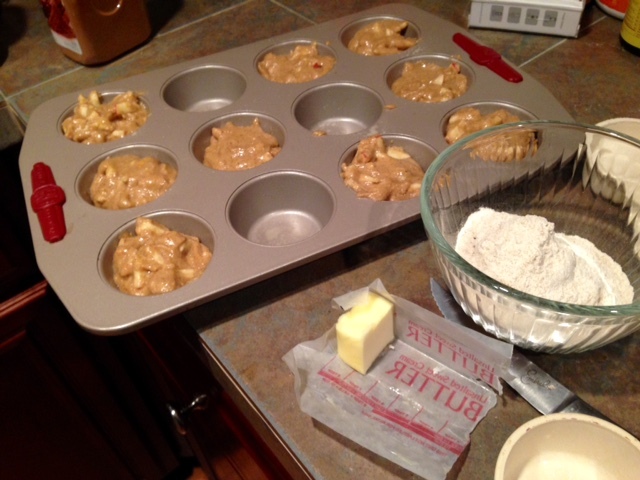 Then just barely combine the dry and wet ingredients, making sure not to overmix. Fold in the apples. 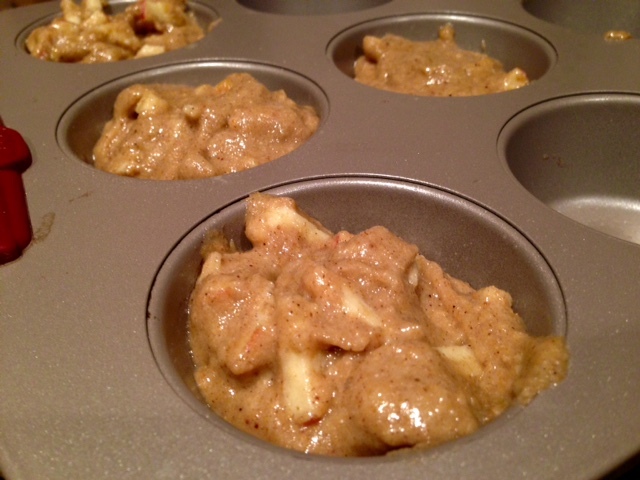 Fill the muffin tins with batter, filling almost all the way to the top. 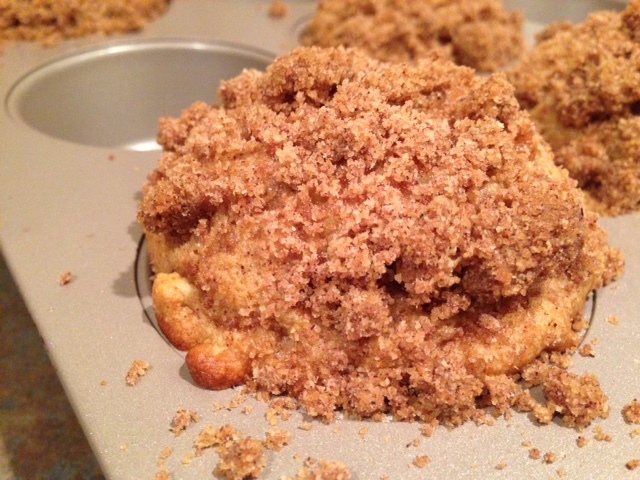 Melt the butter and combine the streusel ingredients. 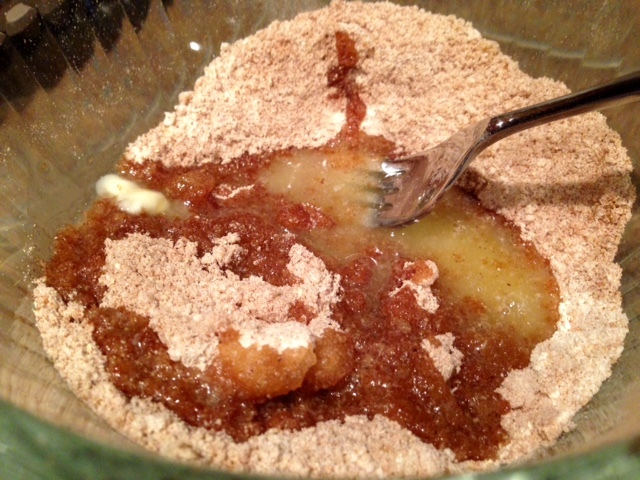 Sprinkle the streusel over the top of the batter. Don’t be stingy. Bake for 15 to 17 minutes, or until a toothpick comes out clean. When the muffins are completely cooled, place them in an airtight container and store at room temperature for up to 4 days (in the fridge will keep just a bit longer). In another bowl, whisk the egg, then add the honey, olive oil and vanilla. Finally, stir in the yogurt or buttermilk. Add the dry ingredients to the wet ones, just barely combine it and make sure not to overmix. 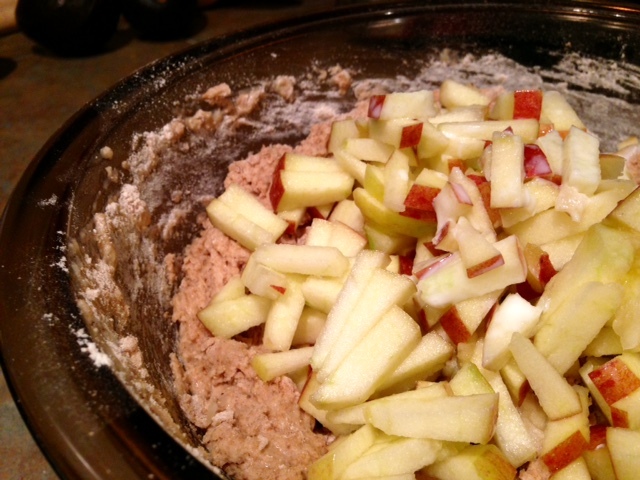 Then fold in the apples. 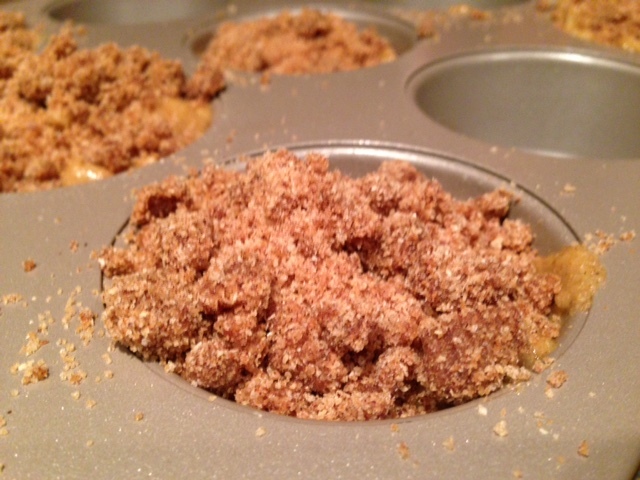 Combine the streusel ingredients and sprinkle over the tops of the batter, nice and thick. Bake for about 15 to 17 minutes, or until a toothpick comes out clean.